having mixed emotions about this season of Girls (are they ever going to get it together??) but loving the new Togetherness. A few years ago, I posted about making my own extracts - it was my first time doing so, and true to form, I went a little overboard and made five different types of extracts - lavender, rose, and hibiscus in addition to the more traditional cinnamon and vanilla. I got fantastic flavors from all the herbs and spices, but I never really managed to incorporate most of the extracts into my cooking or baking. I once added the lavender extract to a lemon-lavender icebox pie, and the cinnamon gets tossed into various experimental batches of cookies, but it's only the vanilla I use with any true regularity. As a result, my original bottle was getting dangerously low - so I decided to rectify the situation and whip up a new batch of homemade vanilla extract. It's crazy easy to make your own extract, and is ultimately a whole lot cheaper than buying the pre-made. You'll need a bottle (preferably glass), 1-2 vanilla beans, and enough vodka to fill the bottle. It's perfectly fine to use cheap vodka for this project, so save yourself some cash and pick up some Fleishman's or Smirnoff (or whatever is comparable in your area). I found my vanilla beans at a nearby spice shop, but if you can't find them locally I'm pretty sure that many major grocery stores do keep them in stock. Using a sharp nice, cut a long lengthwise slit down the center of each vanilla bean. Be careful not to split the bean into two separate pieces - you just need a deep enough cut to let the tiny seeds infiltrate the vodka. Place the beans into the bottle, fill up the bottle with vodka, cap tightly, and store in your pantry/spice rack/wherever you keep things of this nature for at least three weeks and up to two years. You can use the extract as soon as the liquid in the bottle turns to an amber/golden color, but I like to wait a little longer to start using my vanilla - the flavor intensifies and becomes much more robust over time, and there's nothing quite like an apple or cherry pie made with real vanilla extract that's been aged for nearly a year. When I moved in to this apartment a year and a half ago, the list of immediate tasks was long but obvious due to the sheer fact that two people had to now inhabit a one-bedroom apartment previously occupied by just one person. Over the course of a few intense weeks, we reduced and reorganized and figured out how to make it all work. Stacks of books went to the Strand, bags of clothing went to the Goodwill, kitchen cabinets got reconfigured, a bedroom dresser and two nightstands were purchased, and the bathroom vanity got an entire overhaul. But once the major to-do's were completed, a lot of the smaller and less important tasks fell to the wayside as things like jobs and travels took up our spare time. Eventually though, I was able to revisit my "Apartment To-Do List - Tasks of Secondary Importance [working title]" and slog my way through it - and yikes, what a difference something as small as just putting up a few pictures can make to my overall mood. 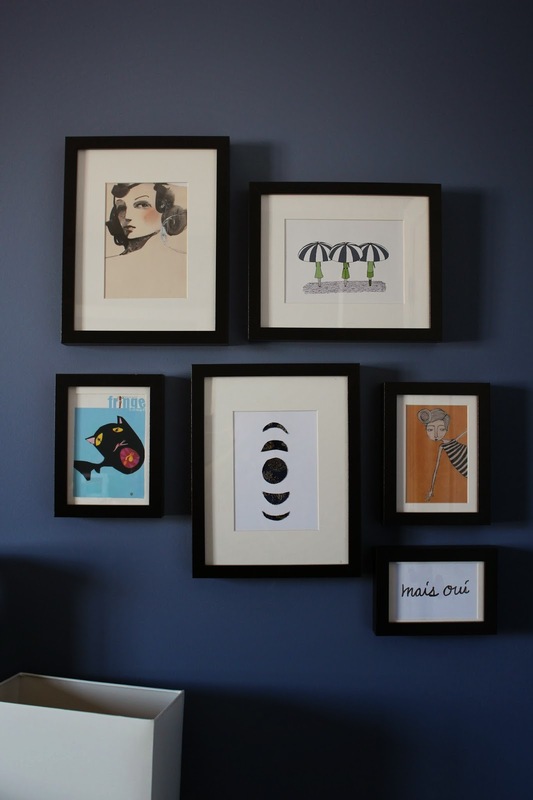 I had long been wanting to put up a gallery wall. 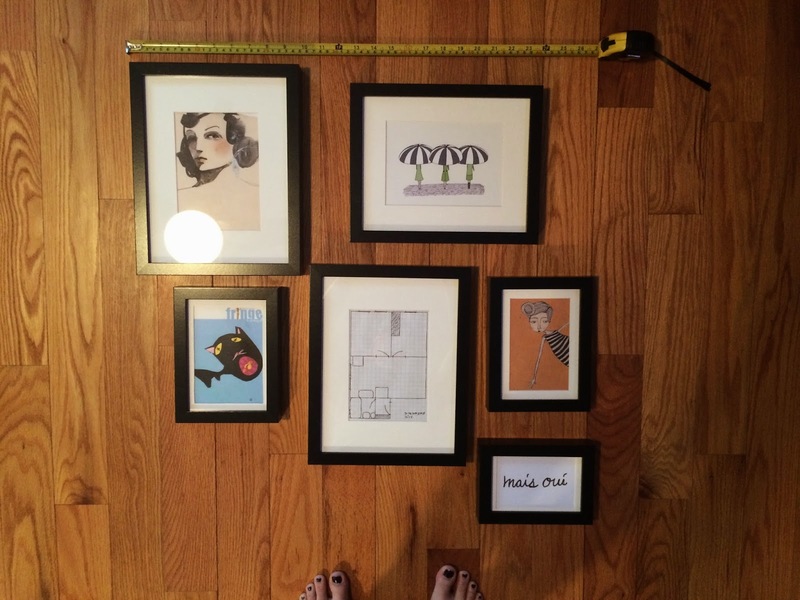 I'd actually purchased a couple of the above pictures with the intention to hang them in my old apartment, but never even managed to put them into frames before moving. 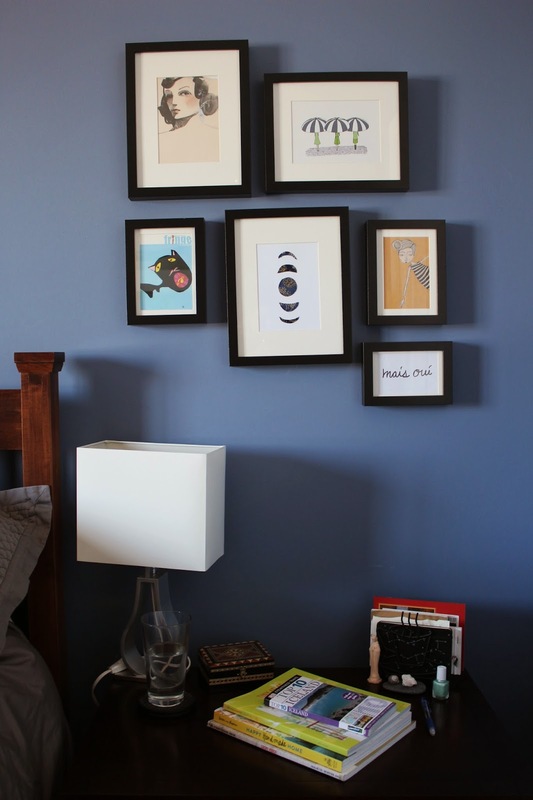 When I realized that the space above my nightstand in my (new to me) bedroom was bare, I knew that was where my pictures were going to hang. It took a trip to Ikea and a lengthy measuring/cutting/framing/re-measuring/nailing/hanging/re-hanging session, but I finally got everything up - and it makes me so happy. One day I'd love to have one of those massive gallery walls that takes up half the room, but for now, these six pictures will have to do. In the small-but-mighty category, I finally took control of my cookbook situation. Previously, I had all my cookbooks lined up at the end of my kitchen counter and held by one of those cheapo bookends. It was fine, but really kind of cluttered - and that's not to mention my old system of printing out various recipes and shoving them into random books whenever I decided to "clean up." So first I tackled the loose recipe issue - each random paper went into a 3-hole plastic sheet protector, and the stack of sheet protectors got bound into a folder. Simple, cheap, and amazingly effective. 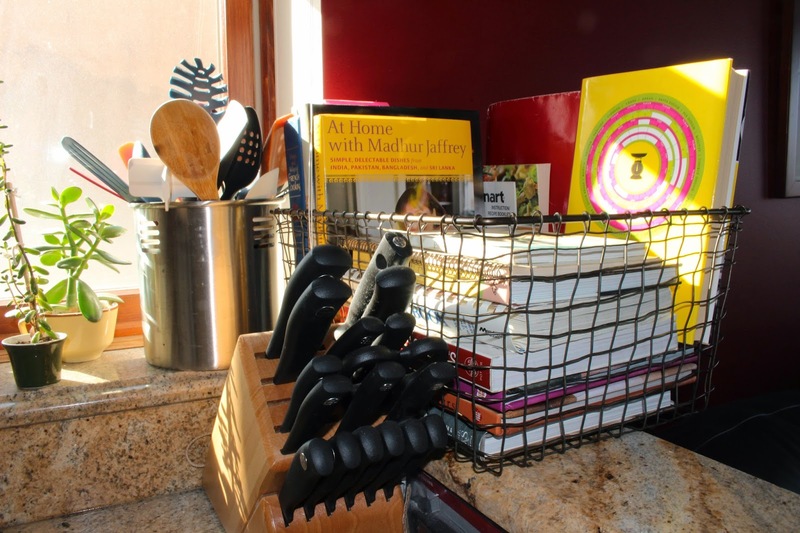 Then, the folder and all the cookbooks went into a wire basket that was big enough to hold everything but with a smaller footprint than that of the original line of books. It's easy to dig though the basket when I do need to grab a book, but for the majority of times when I'm not referencing an analogue cookbook, they're out of the way and neatly stacked. 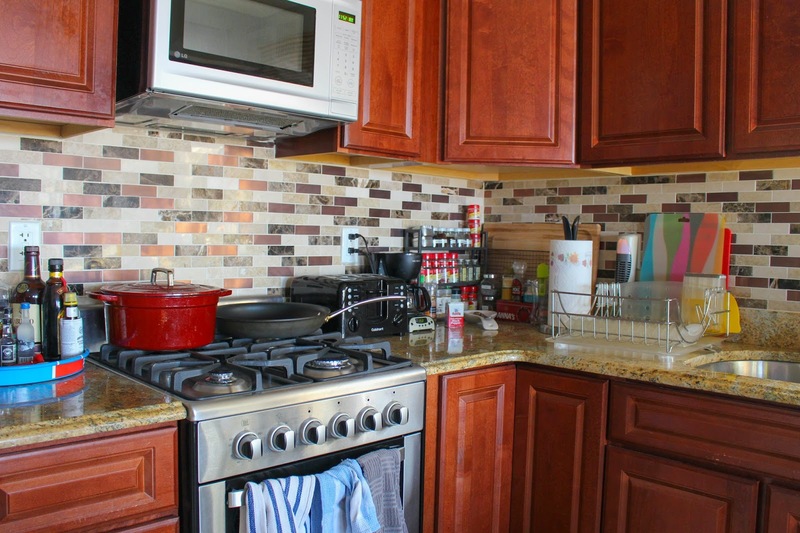 And finally, the largest of the projects - a backsplash in the kitchen! About six months ago, my folks gave me an early monetary Christmas present with instructions to spend it on something for the apartment. J and I had been talking for a while about adding a backsplash to cover up the industrial-apartment-plaster, and that was just the impetuous we needed. 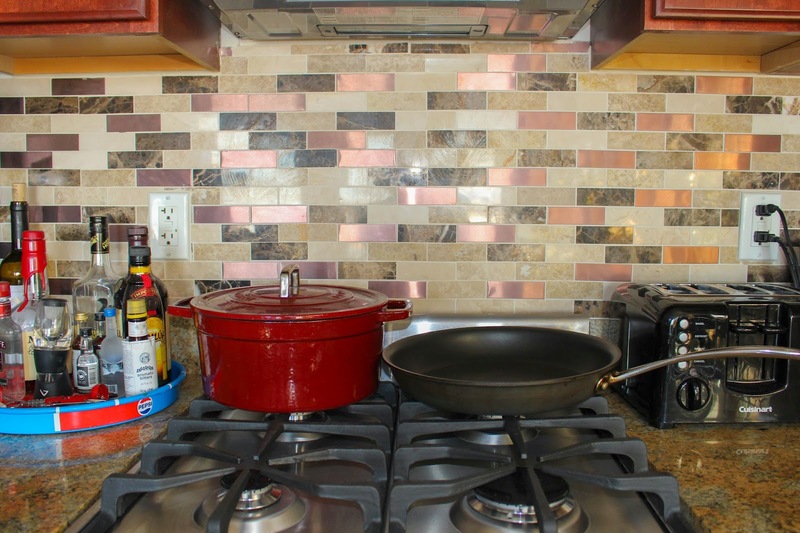 It took us a while to figure out just how to go about getting our backsplash. Should we buy the tiles and DIY it ourselves? Or do we go the peel-and-stick route? It quickly became clear that we were not going to do the installation ourselves - the time, stress, and tool investment would have been too much to handle, and besides, neither of us had ever done anything close to a project of that caliber. The peel-and-stick option wasn't for us either. None of the patterns really spoke to us, and price-wise, it wasn't all that different than traditional tiles. So we called our landlord and struck a deal - we'd buy the tiles/grout/sealant/etc. 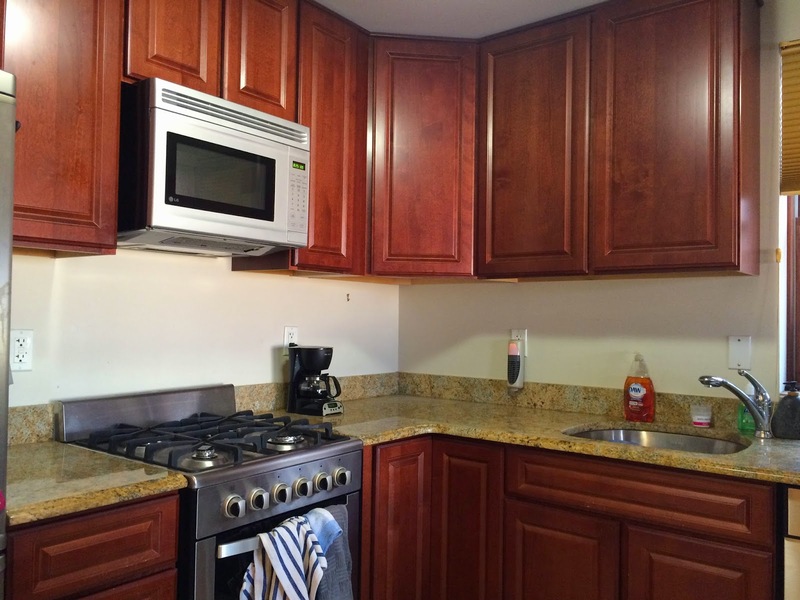 and our building's maintenance man would instal the tiles; when we eventually move out of the apartment, the backsplash will remain, adding value to the overall unit. Five trips to Home Depot later (one to buy some tile options, one to buy all the tile we though we'd need, one to return the unused tiles...you get the idea) and we had our beautiful backsplash. All of these improvements were just that - embellishments to things that were already perfectly fine and functioning. But this being my first semi-permanent living situation in quite some time, it feels so good to put in a little time and effort to turn this apartment into a home. Ok just go with me for a second here. The Artist's Letter Rack by William Michael Harnett, and Office Board and Old Souvenirs by John F. Peto - three still life's done in the style of trompe l'oeil (trickery of the eye) that depict ordinary, everyday objects in deliberately staged arrangements. I'm not 100% sure what it was about these paintings that made me stop in my tracks and take such notice, but I stood there for about 10 minutes simply contemplating the images. I loved that each painting so clearly described the artists' lives - I know who they recently corresponded with, what performances they had just seen, and what they were reading. And I loved that though the objects in each painting are seemingly small and inconsequential (an old ticket stub? a ripped envelope?) they were clearly important enough to each painter that he spent the time and energy to actually paint them. These images are not merely a show of technique - artists paint bowls of fruit and stacks of boxes in order to hone and show their technical skill. Instead, these are paintings of items that really meant something to the artists, so much that they felt the need to memorialize them forever on pieces of canvas. And for some reason, this really resonated with me. I did eventually find my way out of the American Wing and over to Asian Art, but I just couldn't shake the idea of these collages. Luckily, this all came at a time in which I was struggling to figure out what I was going to do for my Year of 2015 Documentation Project. In 2013 I took one picture per day, but that stressed me out to no end. In 2014 I scaled it back to taking one picture per week, and while I totally loved that project and was immensely pleased with the outcome, I wanted something different for 2015. And that's where the first picture in this post comes in (see? I told you to stick with me for a minute). 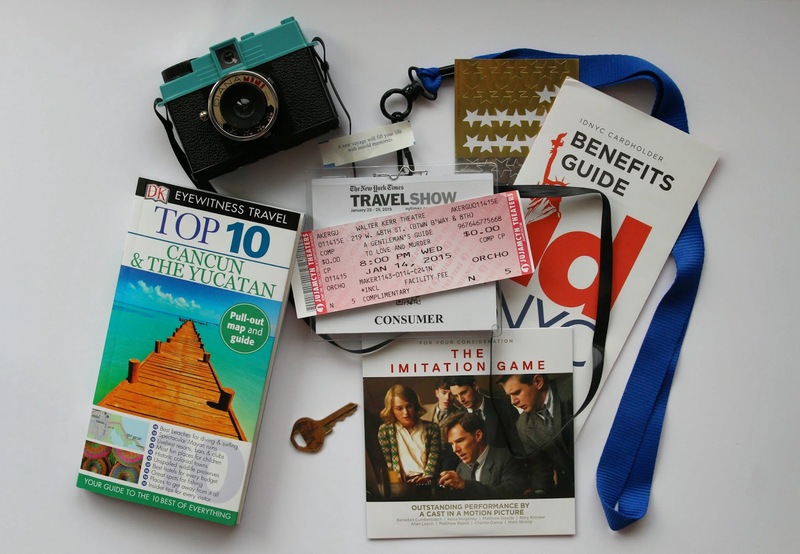 Each month, I'm going to photograph one collage made up of items (from that month) that hold special significance to me. By the end of the year, I'll have twelve pictures that, if all goes as planned, tell the cohesive story of my 2015.